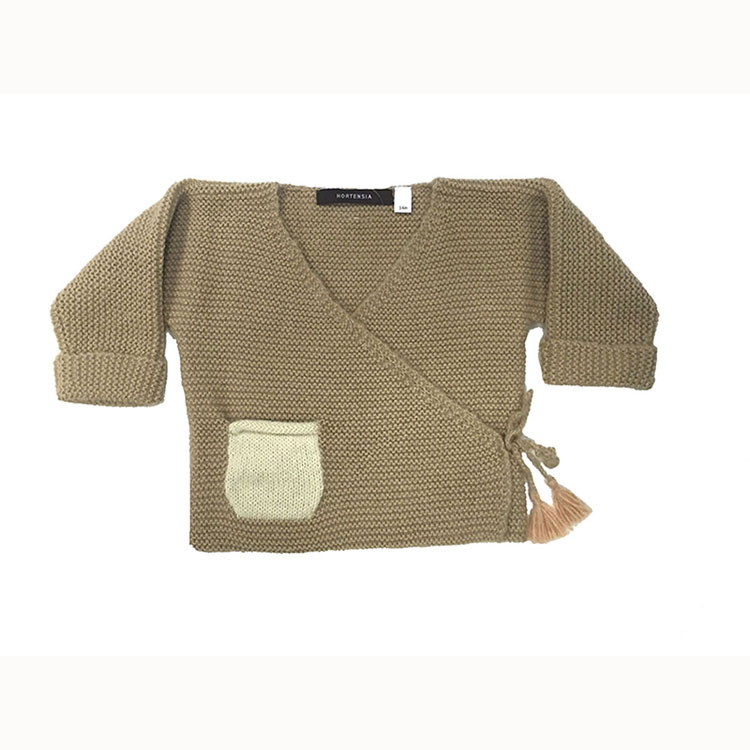 Hand Knit Baby Sweater made in beautiful and soft alpaca wool in beige. This piece has been knitted in a classic purl stitch, features a tassel detail and pocket in a contrast ivory color. SKU: n/a. Categories: $100 and under, For The Little Ones, Kids. Hand Knit Baby Sweater made in beautiful and soft alpaca wool in blue. This piece features a classic purl stitch as well as tassel detail and pocket in a contrast ivory color. The design team puts the finest materials Peru has to offer into a product line available to the rest of the world. Our newly launched baby line offers delicate styles for the sweetest babies.